GoDaddy is going public -- again. But its finances don't look pretty. GoDaddy has filed plans for a $100 million initial public offering of its stock. 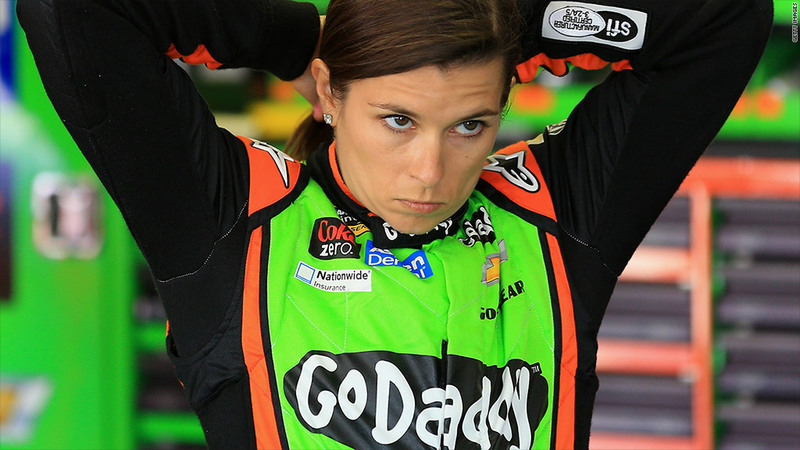 But don't cue the celebratory racy Danica Patrick video just yet: In a filing with the Security and Exchange Commission on Monday, the website registration company offered an inside look at the company's hurting finances, and GoDaddy hasn't made a profit since 2009. The company lost $279 million in 2012. It bled another $200 million last year. This year doesn't look much better, with another $51 million lost in the first quarter. What's going on? The company's still recovering from a bad stretch. It was mired in debt back in 2011, when three private equity firms came to the rescue: KKR & Co. (KKR), Silver Lake Partners and Technology Crossover Ventures. Also, as part of the announcement, GoDaddy founder Bob Parsons said he is stepping down from his current position as executive chairman, though he'll remain on the board. He stepped down as CEO in 2011. GoDaddy's SEC filing shows Parsons -- a controversial figure who's taken heat for shooting elephants and the company's sexually-themed commercials -- still owns 28% of the company directly. KKR and Silver Lake each own 28%. Technology Crossover Ventures has the smallest slice, with 12%. On the bright side, the company is showing steady growth. Its customer base has been expanding at about 13% a year and reached at 11.6 million customers in 2013. Its total number of registered websites has also grown, reaching 1.4 million bookings that same year. The company also sees business potential in selling the hundreds of new top-level domains (like .nyc and .bike) that will soon be available with the approval of the Internet Corporation for Assigned Names and Numbers. This is the second time GoDaddy has tried to go public. It went this route back in 2006, but then backed out when it didn't get the pricing it wanted. This time around, the company plans to offer a yet-undetermined number of shares of common stock. And there's no word yet what the company ticker will be.